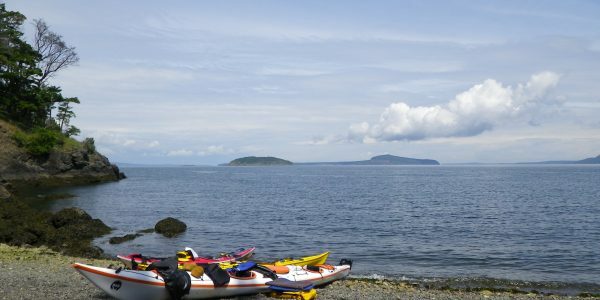 The 3 Day Kayak Tour is perfect for those wanting to spend more time exploring the San Juan Islands. 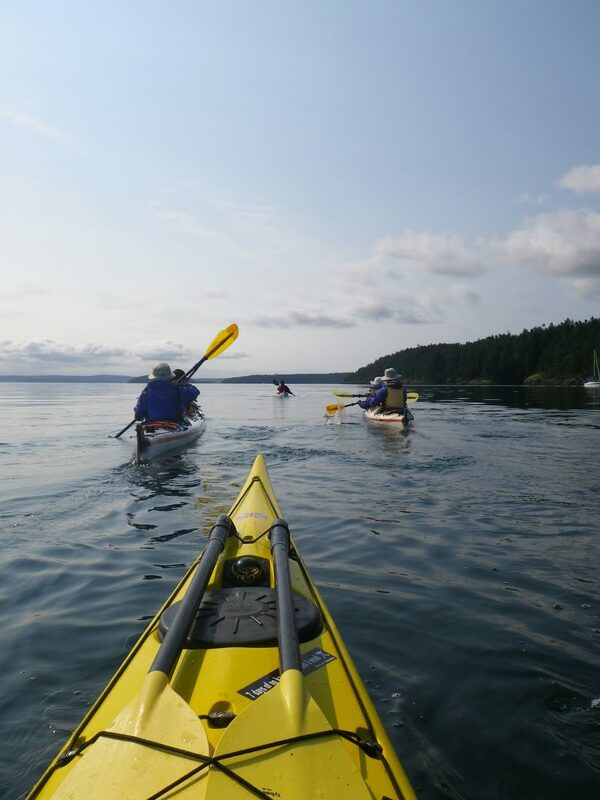 This is our most popular multi-day kayaking tour option. 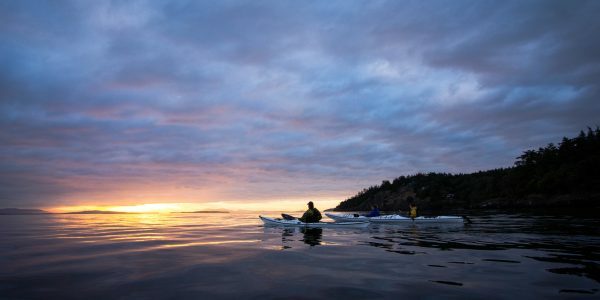 Three days offers the perfect amount of time to explore the islands and spend time paddling prime whale watching territory. 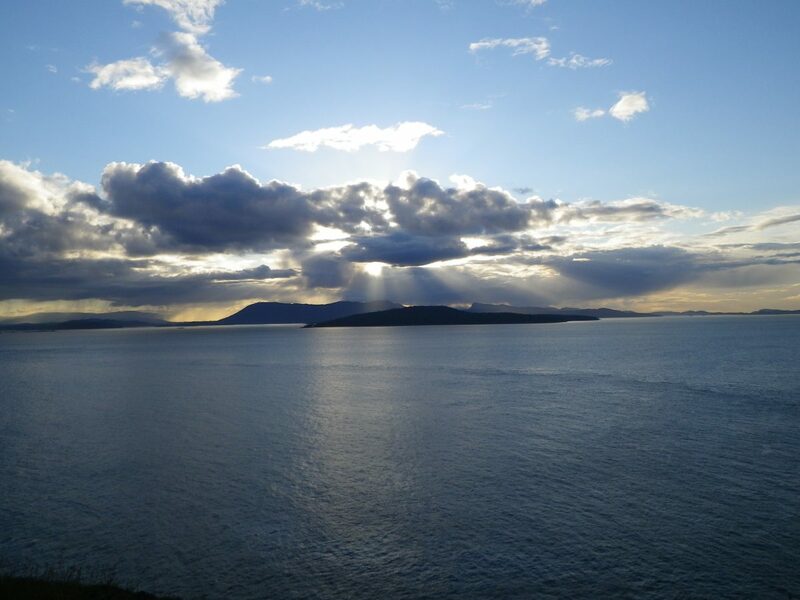 We design each route to maximize adventure, scenic beauty and cover the best wildlife areas around the islands. 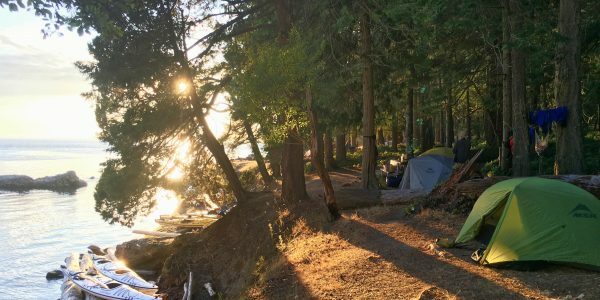 Each evening take in the beautiful sunsets from camp or hike to amazing vista points for views across the water to the Canadian Gulf Islands. 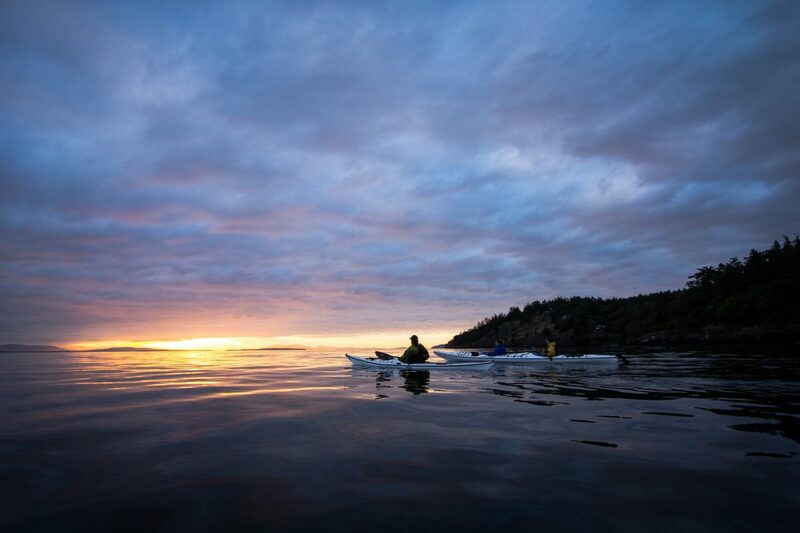 If conditions permit, guides will offer the opportunity to kayak at night in search of the sparking lights of bioluminescent organisms. One of the many reasons guests come back for another 3-day kayak adventure is our food. Guides custom design meal plans for each tour. We source as much as we can from our organic garden and the rest from local farmers when possible. Each day, guides will prepare healthy and fresh meals. Please do not hesitate to ask for the recipes! 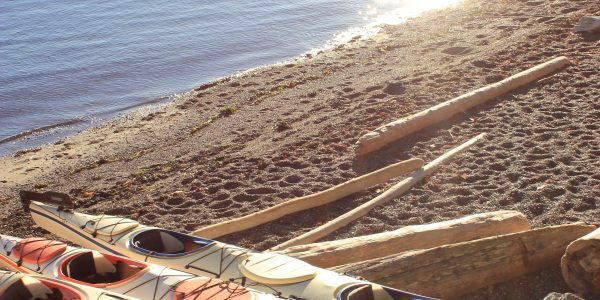 The campsites we utilize on the three-day kayak tour are all typically equipped with water, picnic tables, composting toilets, comfortable flat ground for tents, and a variety of trails to explore. 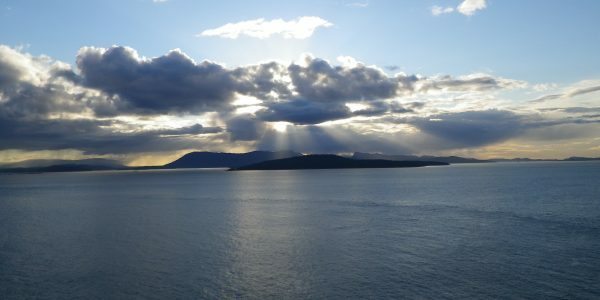 All island campsites visited are maintained by Washington State Parks. 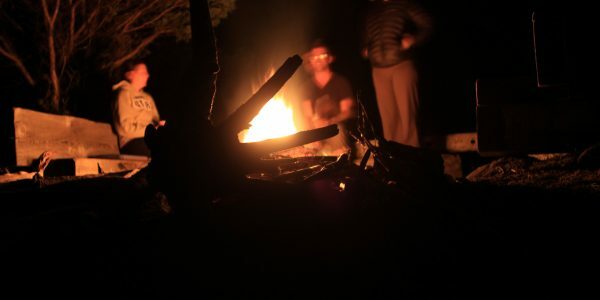 Camps do NOT have showers or electricity. 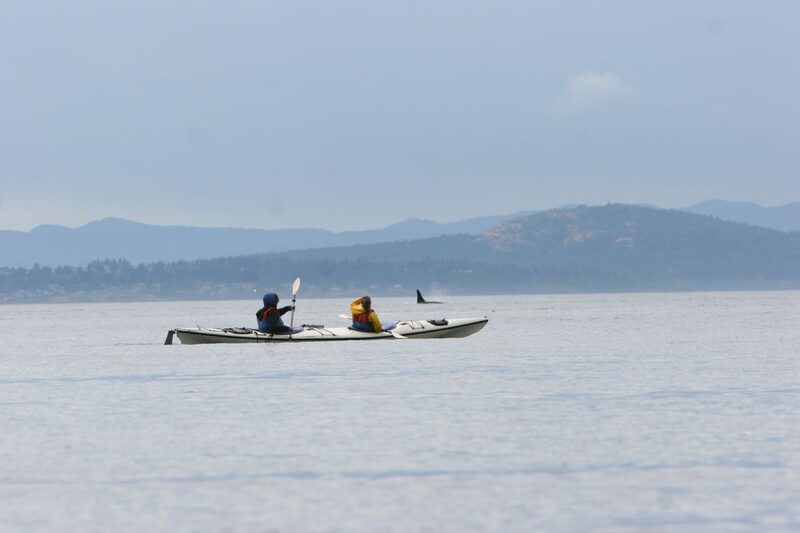 Kayak Guides: We assure you, you will have one of the best-trained and most knowledgeable guides on San Juan Island. The Equipment: We always have you covered. Top of the line camping and kayaking equipment provided. We provide everything you need for camping included in the tour cost. No equipment rental fees! The Food: As mentioned earlier, we custom design all menus for each tour. We source produce from our own garden, local farmers, and farmers market. September 2018: Groups of 4 or more call for dates. 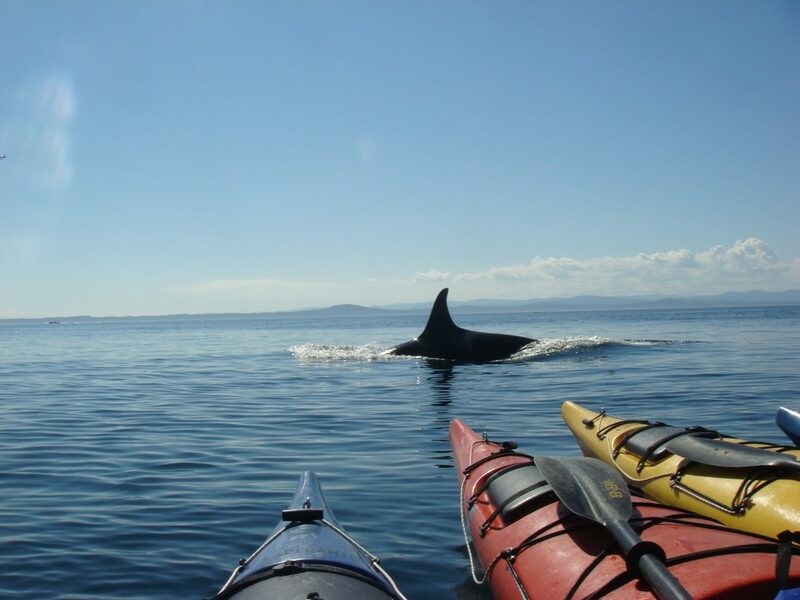 Click photos to view our 3 Day San Juan Kayak & Camping Tours gallery. 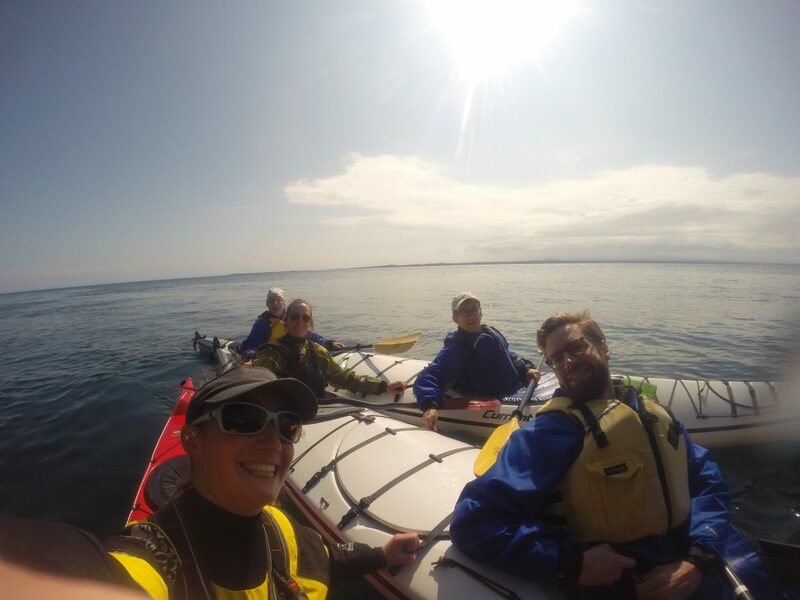 Go on a kayaking trip with Discovery Sea Kayaks! We just went on the 3 day tour and it could not have been a better adventure. 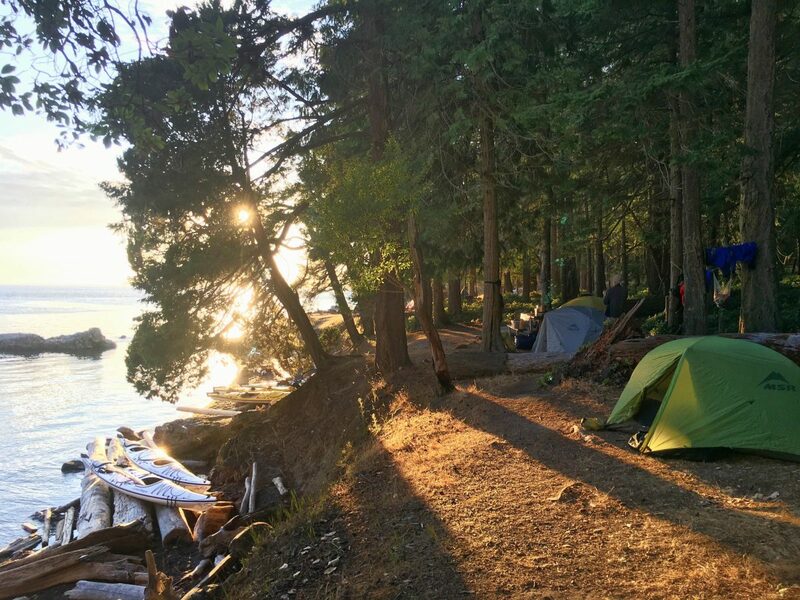 All of our campsites were picturesque and the gear that Discovery provides is top notch. 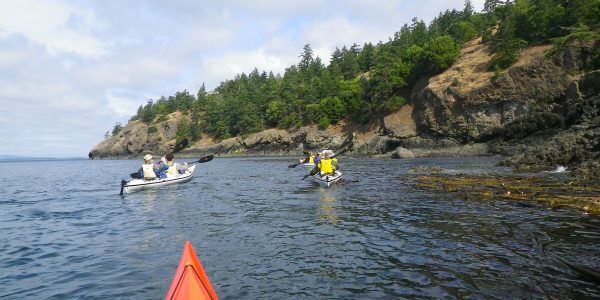 Once at the beach, your guide will instruct the group on proper packing and kayaking techniques. There will be time for a restroom break just before launching. 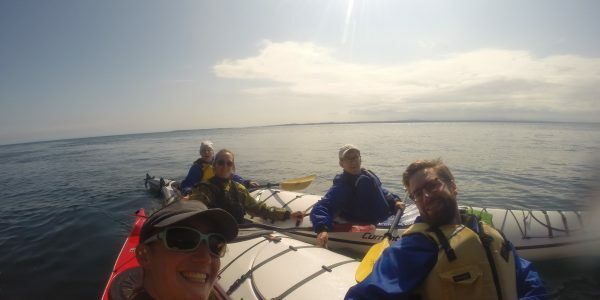 The rest of the day will be on the water kayaking to the first-night camping location. Lunch break will take place mid-day. Dinner will be prepared early evening prior to or after a short hike. Before everyone slips away to their tents your guide will cover the next day’s plan. The second day of the tour is the most flexible. We tend to travel to another campsite on day two but base camping is an option, as will be covered during the shop meet and greet on day one. Day 2 starts with fresh coffee and breakfast. 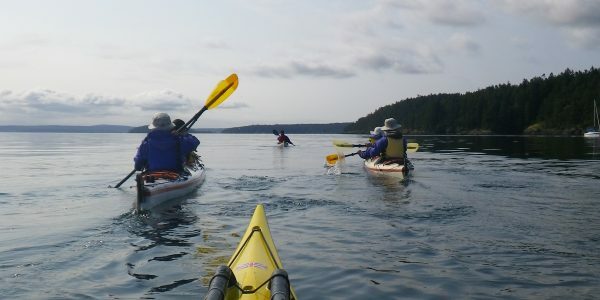 Soon after breakfast, it will be time to break camp and head out for another day of kayak exploration of the San Juan Islands. Mid-day there will be another break for a beach lunch and opportunity to stretch legs before getting back into the boats. 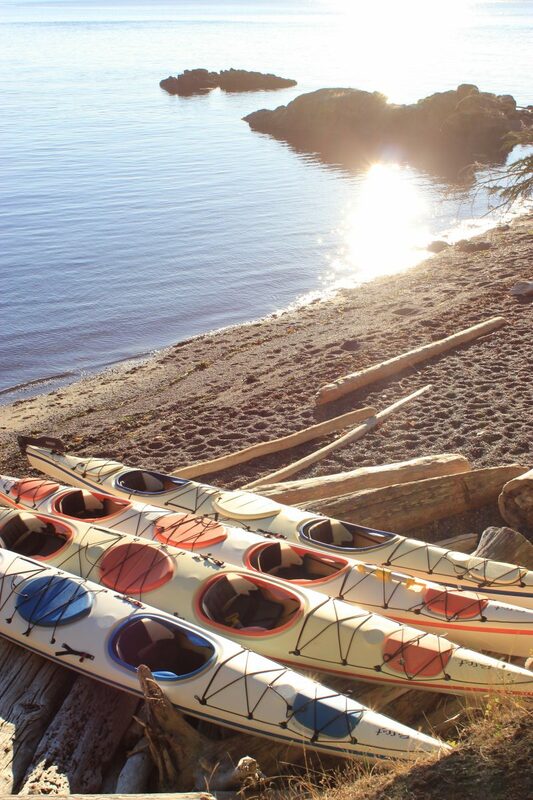 Once at camp, kayaks are unloaded its time to relax. Dinner will be prepared early evening and your guide will cover the final day’s trip plan. 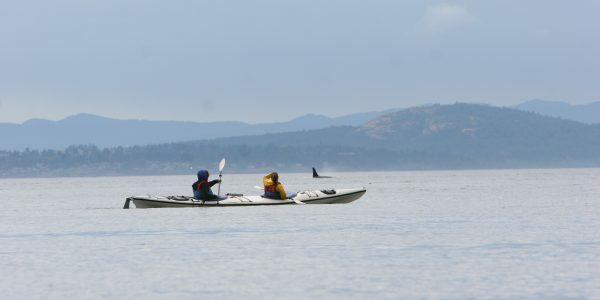 On the the third and final day of the kayak tour we will make our way back to San Juan Island. The morning will start again with fresh coffee and breakfast. Following breakfast, everyone will break camp and pack kayaks. Day three is rarely spent back-tracking our first day’s route. This means the last day is just as exciting and unforgettable as the first. Again, there will be a short break part-way through the day as well as a lunch break. 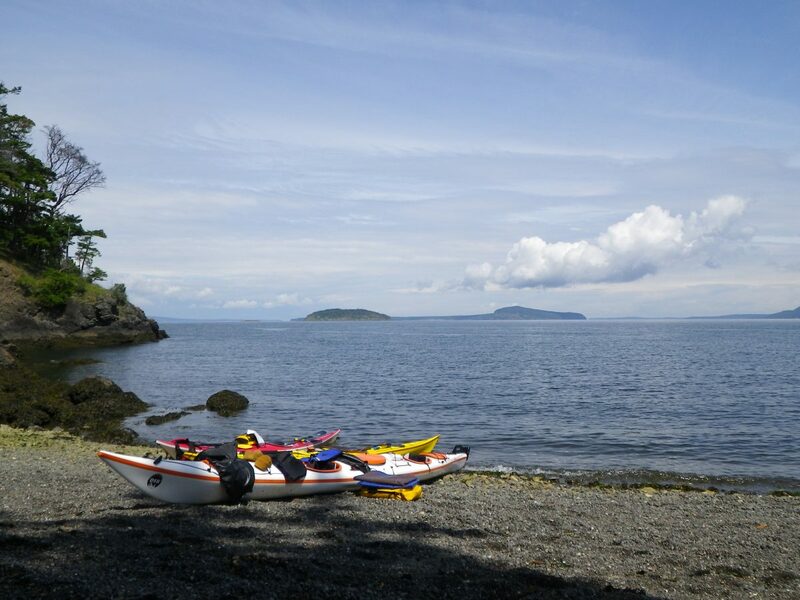 At the final beach location, everyone will unpack kayaks and load up for town. 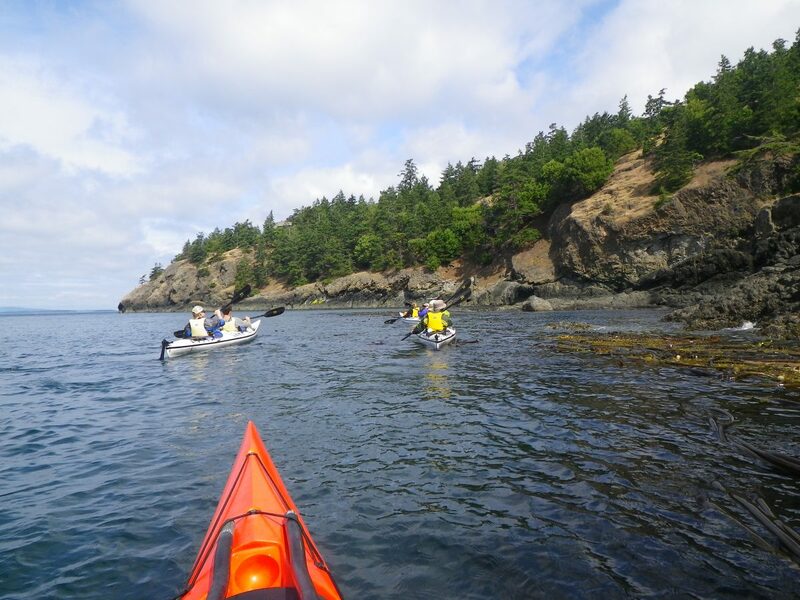 We arrive back in downtown Friday Harbor at an estimated time of 2:30 PM. Please note the itinerary is a rough outline of travel. We can encounter delays that will affect our departure time and arrival back at the shop. Each day may be altered at the guide’s discretion. 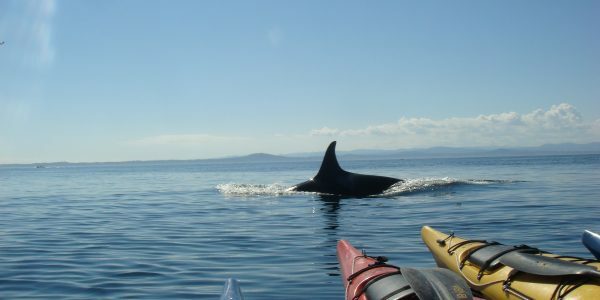 Southern Resident Killer Whales: Salmon-eating whales commonly seen June through mid-October.